Come and enjoy one of the most colorful parts of the city of Vienna. Our Street Suites at Meidlinger Markt are the ideal place to start your journey. The 12th district is a place that doesn’t stand still and is constantly renewing itself. Currently the colorful mix of tradition and international flair is attracting more and more entrepreneurs, young designers, and innovative cafés, bars, and restaurants that are shaping the district a little more every day. Our Street Suites are located right next to Meidlinger Markt, where Milchbart serves as the local point of contact and will gladly welcome anyone who prefers a personal hello. Christian Chvosta is always glad to serve a wonderful coffee with a smile. Checking into your room is easy as always. Our guests check in autonomously and without a reception. By using the code we provide, they access the key-safe on the façade of the building and retrieve their room key. Of course URBANAUTS Hospitality is available for any questions regarding your stay. 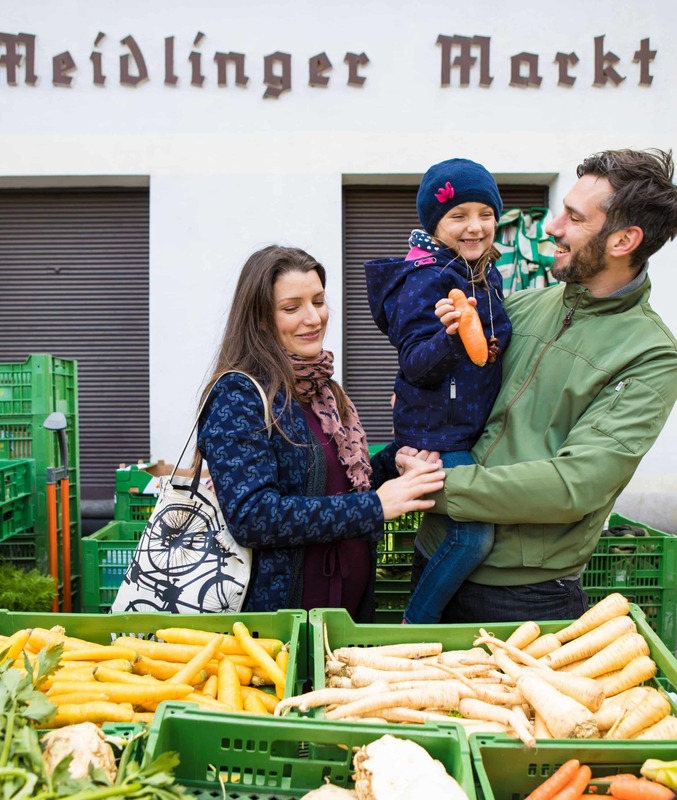 Our Street Suites are located right next to Meidlinger Markt, one of the most interesting markets of the city, in the middle of one of its most colorful districts, with good access to transport connections. In 15 minutes you can reach the Central Station, while Schönbrunn is only a short walk away and the public transport hubs nearby allow you to easily reach the 4th, 5th or 6th district or the city center. Rarely do tradition and international flair merge as seamlessly as in this former working class neighborhood. Especially the last few years have seen an influx of young people, who are bringing more life to the streets of this district daily. A special highlight is Meidlinger Markt itself, that reinvented itself recently and offers not only a variety of delicious specialties, but a lot of friendliness and atmosphere as well. Those with an appetite should not miss the urban farmer’s market, where many special things can be found, from treats from Styria to oriental specialties. Club culture and Austrian restaurants and pubs are another thing that shouldn’t be missed in Meidling and have strongly contributed to its character over the years. For example, the legendary nightclub U4, where great artists like Falco and Kurt Cobain have played in the past, is located not far from the Street Suites. For those who prefer strolling around or shopping, the Meidlinger Hauptstraße is right around the corner, as is the imperial park and garden of Schönbrunn, although children might enjoy the extensive playground at the nearby Christina-Busta-Park even more. Village character: Small specialty stores, authentic cafés and bars, a touch of the past and you in the middle of it all.